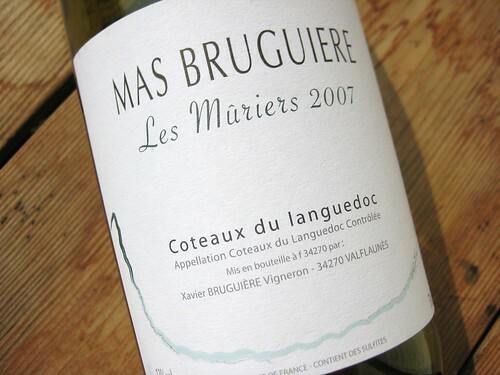 I try to dig more and more into those Southern French whites. I might be wrong but they seem to catch up to the classy Rhône whites real quick; well at least you definitely get some more bang for your buck it seems. 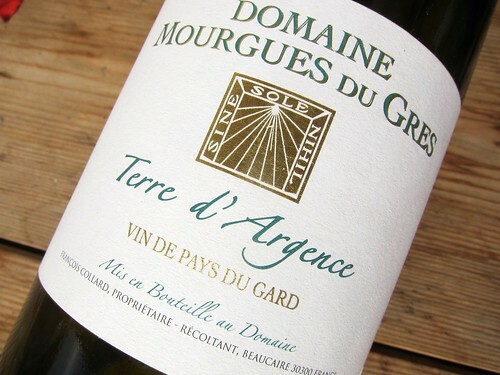 Here’s a white cuvée of Viognier and Roussanne by Domaine Mourgues du Gres from Beaucaire which is roughly located between Nîmes and Arles, thus not that far from the big Rhône whites. White wines from Southern France aren’t only light summer wines. Such as Rhône wines they can be aromatic and powerful, simply outstanding. So naturally I didn’t hesitate to bring back 2 wines from Montpellier when I stopped there this summer, trusting the recommendations of a wineshop owner in the city. Finally I got the opportunity to open them.